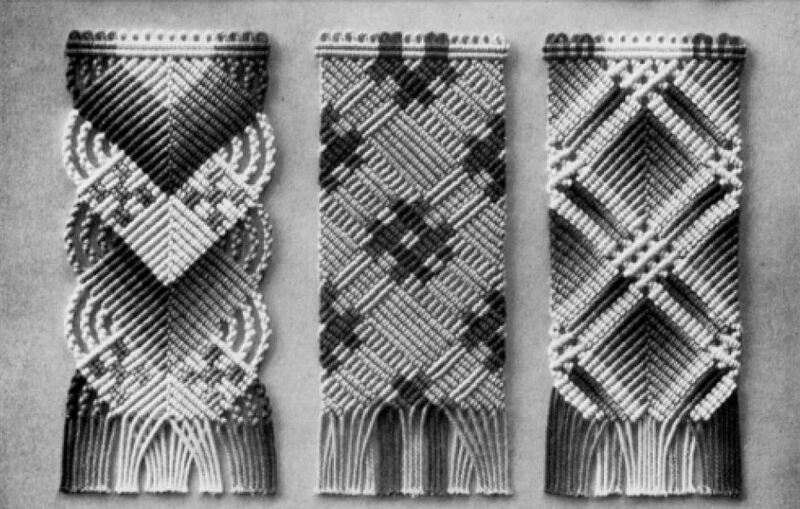 In 1972 I embarked on my first macramé project . . . an avocado hemp plant hanger. 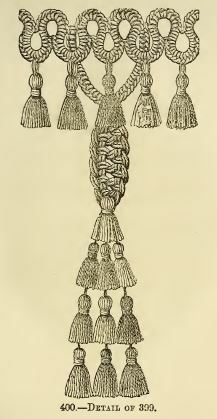 With assistance from my mother, I diligently worked away on making knots and trying to keep my strands from tangling. In the end, I was very proud of what I produced. I’m sure if I saw it today, I would shudder at its appearance . . . but, hey . . . the 70’s were certainly not the pinnacle of aesthetics and good taste. Remember leisure suits, bell bottoms, and really bad polyester? Yeah, I too want to forget about those fashion statements. I’m just grateful we didn’t have digital cameras back then since there’s virtually no evidence of my attempts to be fashionable. And . . . oh, yes . . . I attempted Farrah Fawcett’s famous windblown feathered look with my fine straight hair without success. Fortunately, there is no evidence of this indiscretion and you only have my word that it didn’t turn out very well. 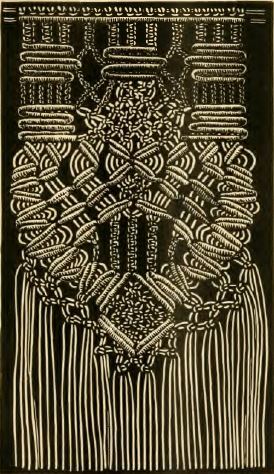 Okay, back to macramé . 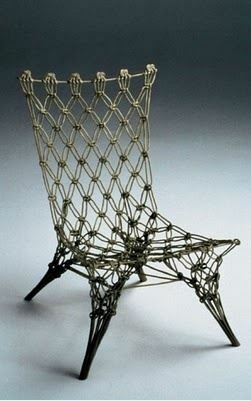 . . the 70’s didn’t do a lot to promote the possibilities of macramé. 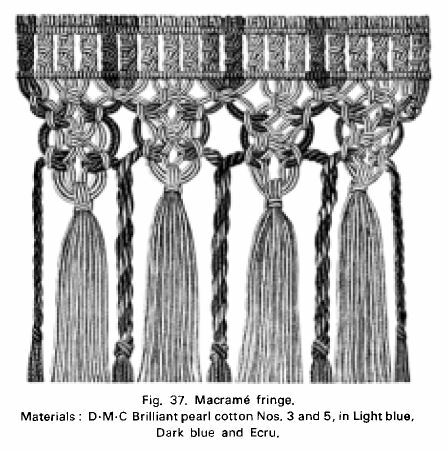 Macramé is believed to have originated with 13th-century Arab weavers. 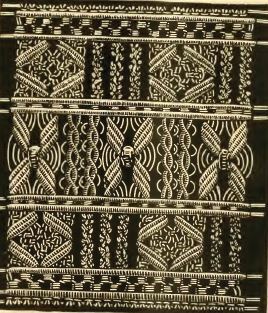 These artisans knotted the excess thread and yarn along the edges of handwoven fabrics into decorative fringes on bath towels, shawls, and veils. I started reacquainting myself with macramé several years ago since I like to do fiber-ish things that are portable and require little more than an old-fashioned clipboard. 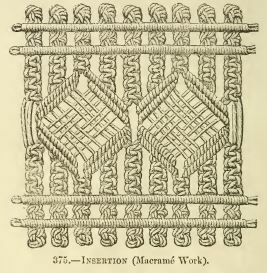 So, here I am hoping you will give macramé another look. 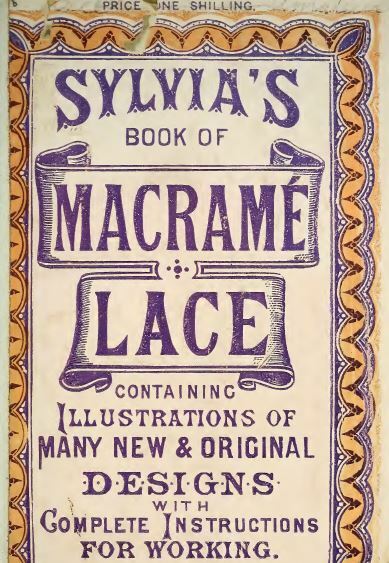 Macramé became popular during the Victorian era when Sylvia’s Book of Macramé Lace was published in 1882. 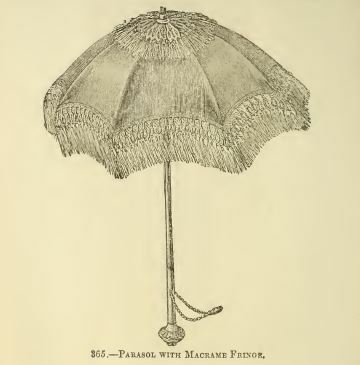 This 178-page book may be downloaded in its entirety at https://archive.org/details/sylviasbookofmac00lond. Below are a few images from the book. 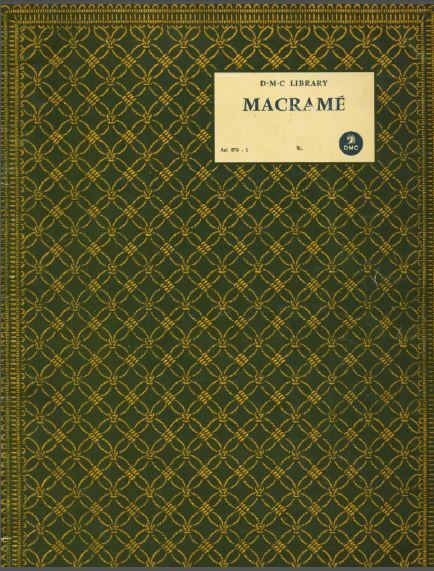 Another resource available to learn more about macramé is the DMC Library book Macramé. 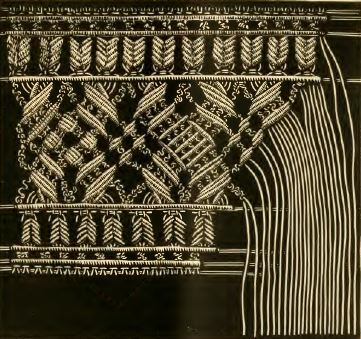 It may be downloaded at https://www.cs.arizona.edu/patterns/weaving/books/macrame_dmc.pdf. I highly recommend this book for getting started. 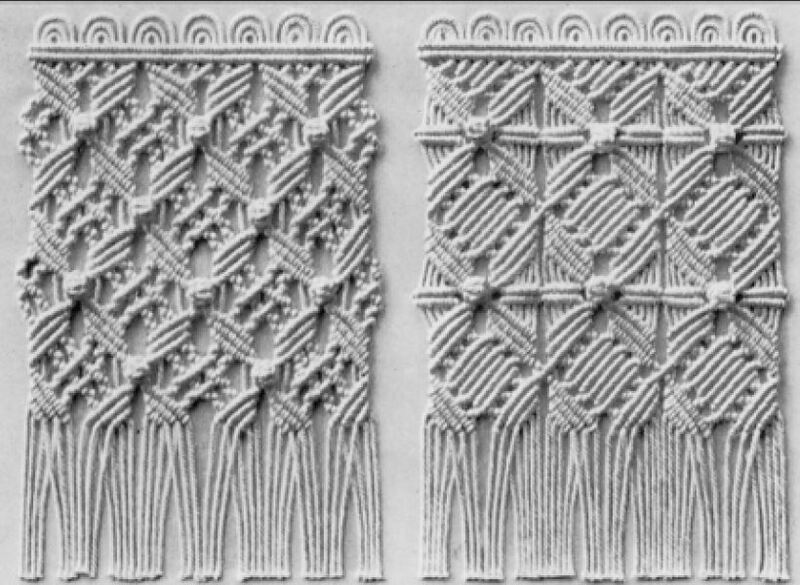 Scale down the cords by using embroidery floss and the results bear little resemblance to my 1972 attempt to be mod and groovy. 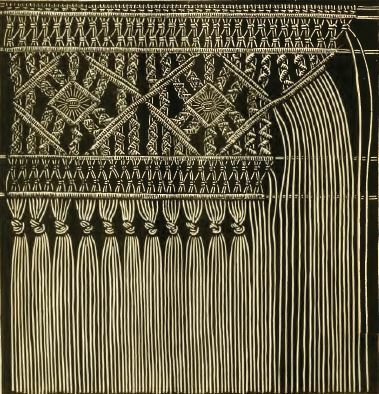 Now, if these images don’t inspire at least a wee bit of intrigue in macramé, check out the following modern day applications . 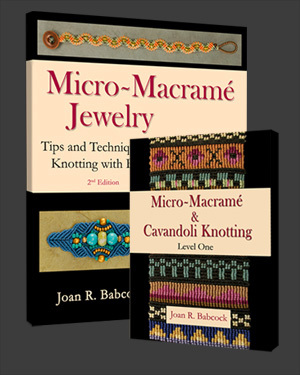 . .
One thing that really got me interested in re-visiting macramé was stumbling across Joan Babcock’s book Micro-Macramé Jewelry: Tips and Techniques for Knotting with Beads. This was macramé I could really get into! A couple of years later I had the privilege of meeting Joan at a women’s artist party I attended with Jennifer Moore in Sante Fe, NM. I can’t remember squealing like that before and I think I may have embarrassed myself a bit when I met her. Ah, well. Shortly after buying the book, I purchased her DVD. 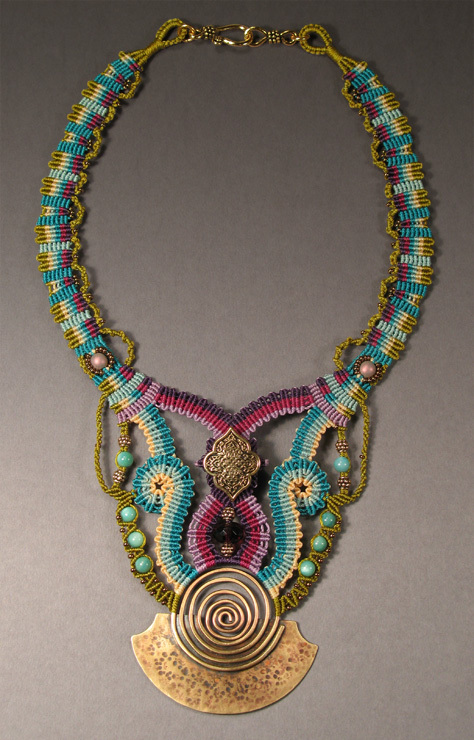 I get more inspired by macramé when I look at images of Joan’s work on her website – http://www.joanbabcock.com/. Some day I hope to be able to take one of her workshops. 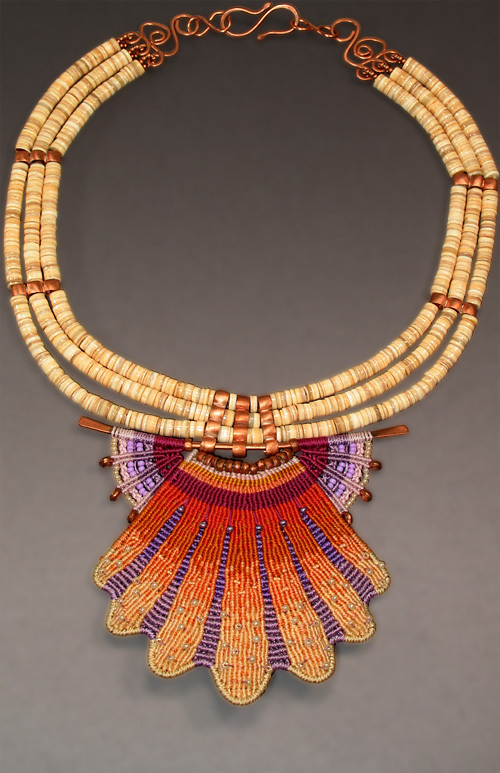 Check out a few of her spectacular pieces . . . 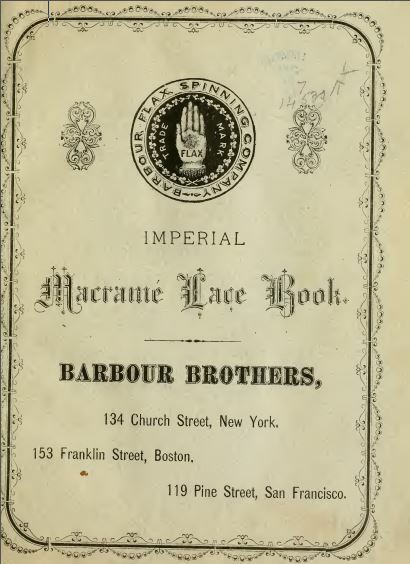 Kids are being introduced to macramé through instructions for making friendship bracelets. 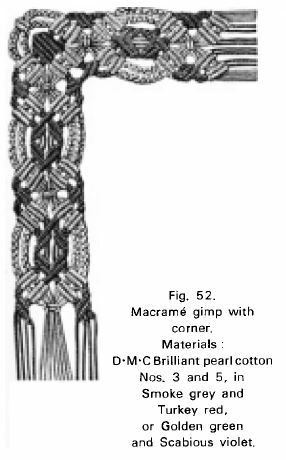 Few of the instructions I’ve seen use the term ‘macramé’ . . . 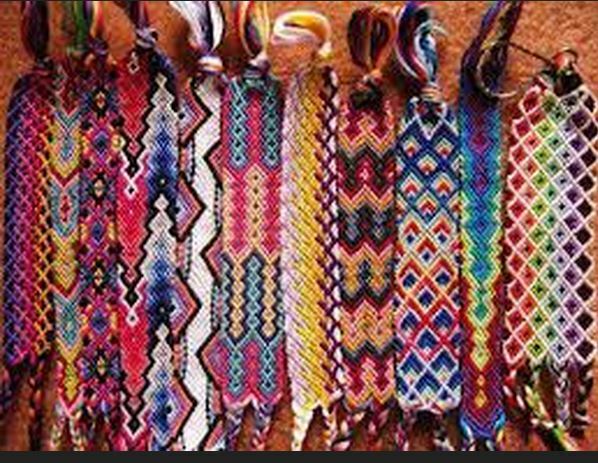 If you have kids or grandkids around, you may be able to get them initiated into the fiber arts through the making of friendship bracelets. Below are a couple of examples of the beautiful things these kids are making. 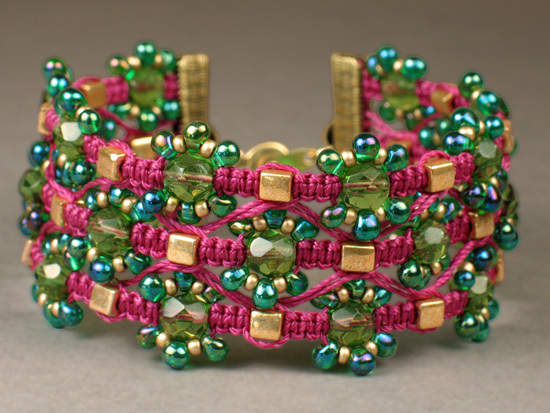 To see the multitude of friendship bracelet instructions available on-line, just Google “friendship bracelet instructions” and you will have your pick . 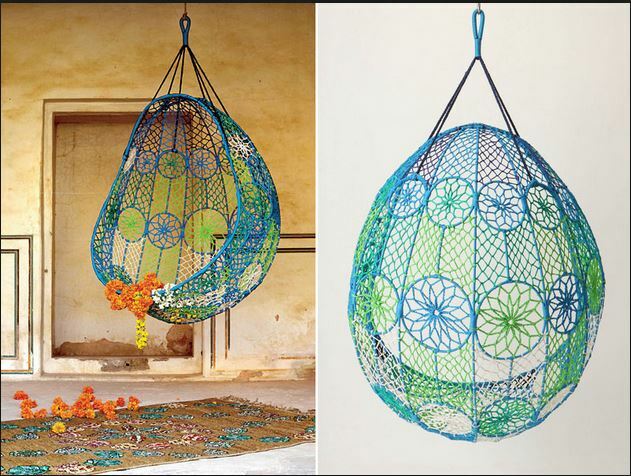 . . Macramé is not just for kids. 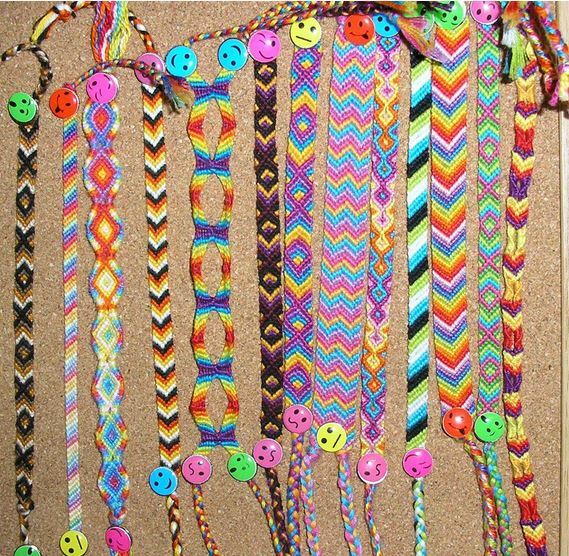 A couple I liked are http://friendship-bracelet-patterns.myfbm.com/# and http://friendship-bracelets.net/. 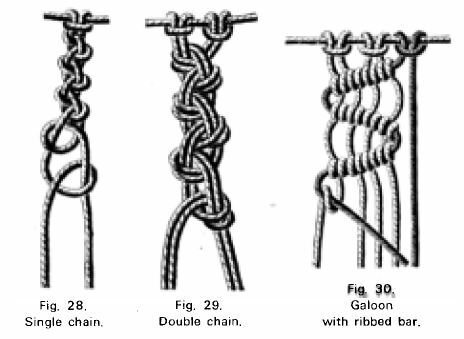 If previous experience with macramé turned you off, consider getting knotty in 2014 and give it a try. Happy New Year! The chair, and especially the jewelry, are TRULY amazing! Yes, the are amazing. 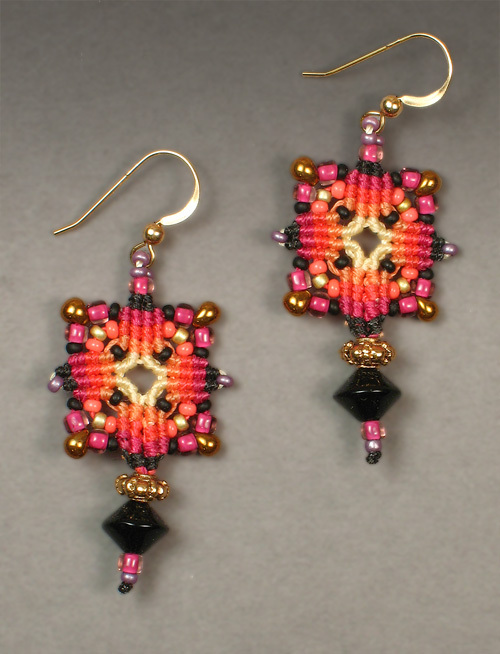 I have a pair of micro-macrame earrings and I love them. Thank you! I’m glad this site has been helpful.